Product: Mashers Sekipack 750ml Round Plastic Disposable Salad Containers with Lids, Pack of 5 was added to cart. 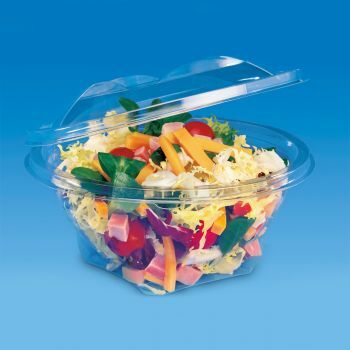 Mashers 750ml Round Plastic Disposable Salad Containers with Lids remain the number #1 choice for Deli Counters, Salad Bars, Self-Service Buffets, and Take Away Food Stores. Lightweight, transparent, and fully disposable after use, these versatile carry out containers are made from food-grade plastics, equipped with self-sealing lids, and they are supplied in packs of 5 and cases of 200. Perfect for build-your-own salads, pasta dishes, and sweet treats, these throwaway serving bowls have a generous capacity of 750ml, and they can be stacked to save space on counters and table tops.